We welcomed back Dr. Jason Kalirai to discuss space telescopes with a focus on Hubble, JWST, and WFIRST plus exoplanets and life searches using telescopes. Please note that I again had trouble with the program tapes for different segments. I did add them in for the archive version but they were not available for the live broadcast. I believe the problem has been resolved and will be testing repairs on the next live program. With regards to our program today with Dr. Kalirai, we started off talking about Hubble which just had its 28th anniversary and 25th year of operational success. We spent time talking about technology, operations and software, plus the fact that still today about two peer reviewed papers a day are being published based on Hubble data. In addition, our guest talked about the vast and comprehensive archival data for Hubble since its start which has turned out to be an amazing research data for scientists and researchers all over the world. Jason was asked about the cost to do research on Hubble so he explained the Hubble financial model which is also the model for other telescopes. Researchers submit a proposal, very few are accepted but if your proposal is accepted, your research on Hubble is funded. US researchers are funded out of the Hubble budget which mostly comes from US taxpayers. Foreign researchers are funded through grants and support in their country or an international agency. About 1/3 of the Hubble budget is for Hubble flight, 1/3 goes to grant research funding, and a third goes to the Hubble science budget. We talked about the Hubble orbit, the software being used for it and how that software has evolved over the years. Jason mentioned that now Hubble data exists in the cloud which is a fairly new development coming about over the last five years. We next talked about the James Webb Space Telescope (JWST). Jason talked about it being an infrared telescope and what that might mean. Because of it being infrared, it cannot have any ambient heat around it, hence its orbit location a million miles from Earth at the second Lagrange point (L2). He described the bottom of JWST which is a special sunshield. Don't miss what he said about the sunshield, how JWST is kept cool even in this far out orbit and more. The bottom of the sunshield is covered with solar panels plus it carries fuel on board for about a ten year service life. We talked about that lifespan and possible repairs using future technology and spacecraft. He said more likely the future might allow for some on orbit refueling but he would not rule out technological advances making other types of repairs possible though those repairs would not be possible today. Jason said that JWST was the most complex space hardware ever tested and made ready to go to space. Listeners had several email questions about JWST including how the infrared photos will be visually displayed. Ohers wanted to know why it was launching on an Arianne and if would have a full sky view once on station. Before the segment ended, Bob in Oklahoma City wanted to know about transmitting images back to Earth and bandwidth availability. In the second segment, we talked about the science to be conducted by JWST. The telescope will be searching for first light, going further back in time to see the light from star formation that happened right after the Big Bang. Jason explained the first light search in detail so don't miss it. Finding first starlight will allow scientist to model the very early universe. He explained the spectrum and what they would look for to confirm first light. Kepler and exoplanet searches were discussed. Yet to come from exoplanet searches will be the capability to accurately determine the gasses in the atmospheres around exoplanets and someday even detect biosignatures in the atmosphere. Our guest had much to say on the subject of exoplanet searches within our solar system as Kepler is looking for much more recent objects (light) than either Hubble or JWST. As part of this discussion, Randy wanted to know about the likely merger down the road of Andromeda with our own Milky Way. He wanted to know what people on Earth might experience at the time of the merger. Don't miss what Jason said in response to Randy's question. Carolyn asked about searching exoplanets for intelligent life and a timeline for such searches. 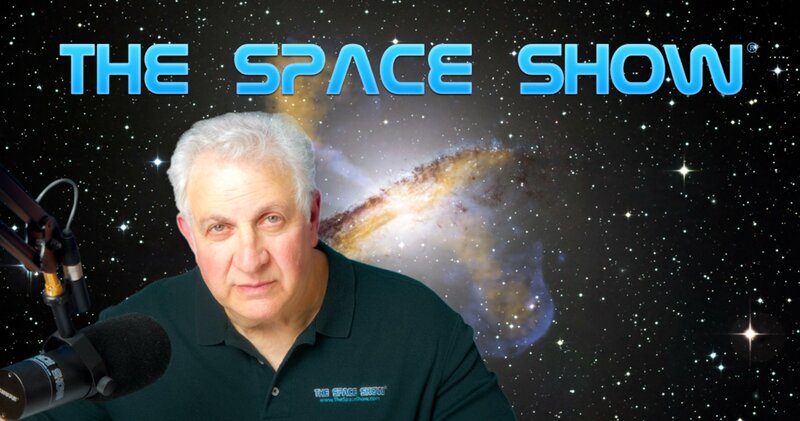 In his response, our guest talked about subsurface oceans being found in our solar system, plumes and planned plume sample missions to sample the water. Our topics then switched to the Wide Field Telescope (WFIRST) that today has an uncertain future. Jason describe the technology behind WFIRST and what wide field actually means and why it is important. Don't miss this discussion. Jason said he was an optimist regarding the eventual confirmation of funding for the project which is still up in the air. As the show was nearing its end, I asked Jason what telescope to him was the most exciting. He said JWST. Don't miss why he selected JWST. Donna sent in a question wanting to know if an optical telescope could search for and find life. Jason said this was hard to do but listen to his full response to Donna. Burton from Montreal sent in a question about a possible UV replacement telescope for Hubble, the eventual use of a 2.4 meter telescope mirror which he said was available and the possibility of using a robotic arm for JWST. He later followed up his question by asking about the existence of demand for a UV Hubble replacement telescope. Don't miss what Jason had to say about a possible Hubble replacement as well as a future repair mission. Before the program ended, we talked about the JWST delays, causes, and repairs. I also asked our guest if he knew the acceptable risk tolerance for mission success in launching JWST. Our guest concluded by saying that Hubble was the most important scientific instrument ever build. Don't miss all of his closing comments. Please post your comments/questions on TSS blog for this show. You can reach our guest through me or the Space Telescope Science Institute.